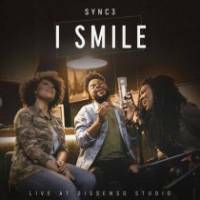 I Smile que é uma composição do cantor estadunidense Kirk Franklin, acaba de ser regravada pela banda Sync3, vale a pena conferir! Today is a new day, but where are my blue skies? You tell me it"s alright! I smile, (come on in!) smile! You look so much better when you smile so smile! You look so much better when you oh, oh, oh!